ATFC are delighted to announce the signing of striker Reece Styche from Darlington for an undisclosed fee. Reece joined Darlington in November 2017 and scored twice on his debut for the Quakers against Harrogate in the FA Trophy. Reece began his career at Hednesford Town before he would go on to have spells at Grantham Town, Coalville, Shepshed Dynamo and Chasetown. His goal-scoring record came into fruition at Forest Green Rovers where he scored 35 goals in 108 appearances between 2010 and 2014. Further spells at Wycombe and Kidderminster followed as well as Macclesfield and Gateshead. Reece was then loaned to Nuneaton during the 2016-17 season before moving to Tamworth in the summer of 2017 ahead of the 2017-18 campaign, where he scored ten goals. A switch to Darlington came in the same season, in November, for an undisclosed fee and Reece went on to finish the 2017-18 campaign with 21 league goals. 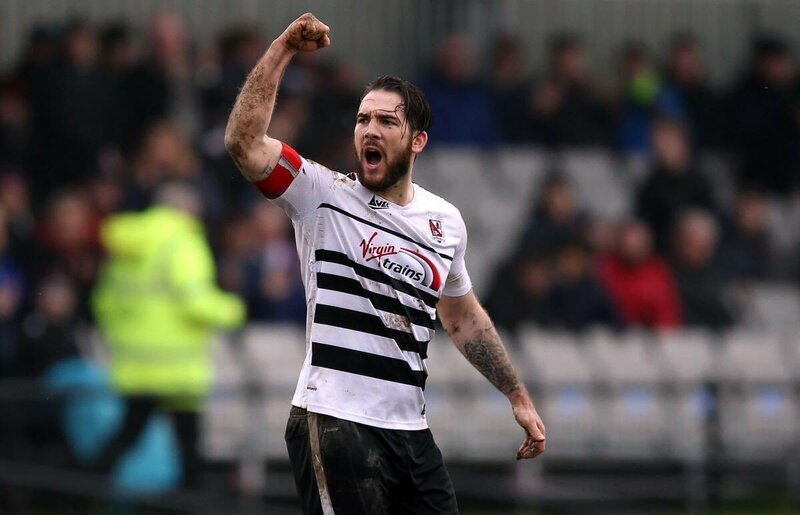 Styche has netted five goals in ten league starts for Darlington in the 2018-19 campaign.